If you've seen me in person recently, you know that I'm so excited to be an auntie again! It's probably the first or second thing out of my mouth. The last few weeks, I've been impatiently waiting for our new nephew and niece to be born. My sister-in-law is a trooper... full term with healthy twins! And during the last few weeks, I've also been making them some baby quilts that I will be sharing soon... but I needed some cards to go with them! I wanted each baby to get a happy birthday card with their quilt and I really wanted something simple, yet pretty that was quick to make. 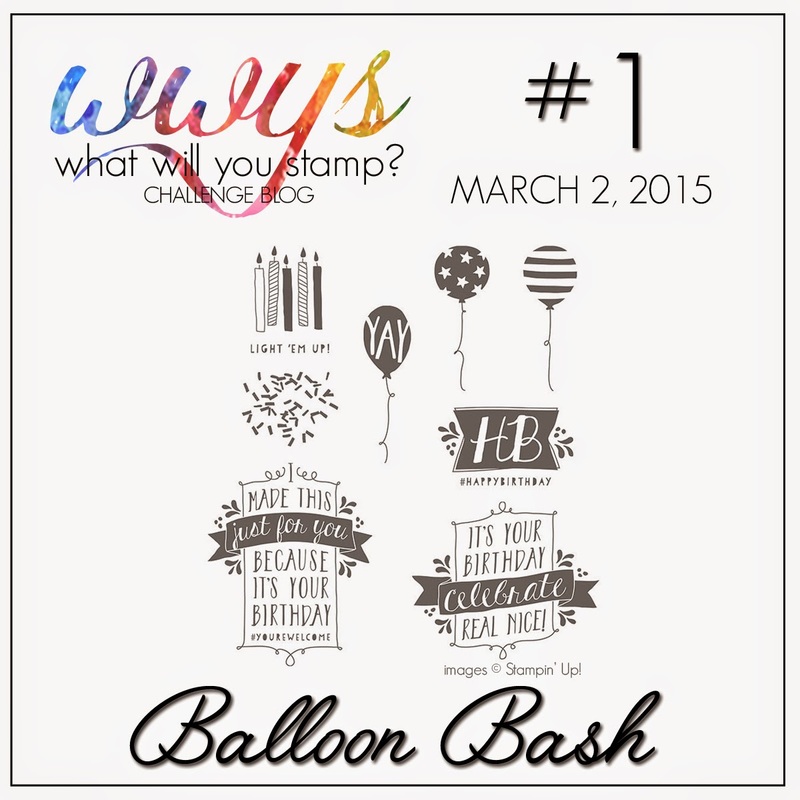 So in addition to new babies soon to be in our family, I am excited about this new baby... the What Will You Stamp? Challenge Blog! I love challenge blogs but I've always wondered why there isn't one that focuses on stamp sets?! I'm always looking for ideas for the stamp sets I own and I know that my customers do the same.... well, from that the idea and concept for this challenge blog was born! I have jumped in, assembled the best team of amazingly talented stampers I personally know for the design team and today is our first day! So please go check out the What Will You Stamp? Challenge Blog to see other ideas for using this stamp set and join in the fun by making something with these stamps! Thanks for stopping by and be sure to come back every Monday to see what I will stamp next! 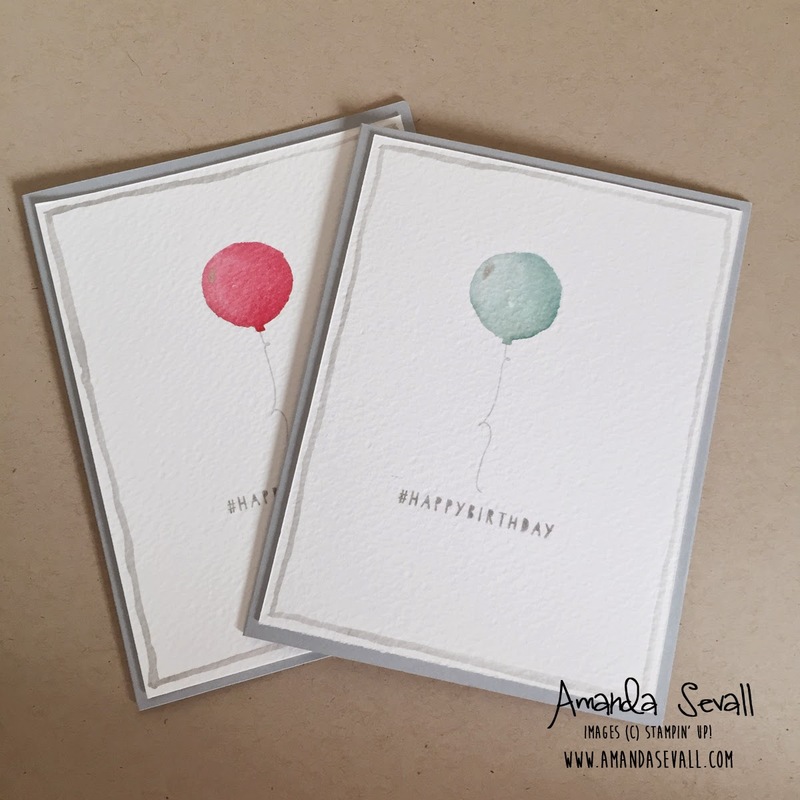 I love the simplicity of the cards Amanda and what a great tutorial on it. I love them. Love it! Absolutely fantastic cards. Congrats on the impending birth of a new niece and nephew! I don't think you'd mentioned that your brother was expecting. How fun! Will this mean a trip back east soon? I love it. So simple. So beautiful. You could give these cards to anyone and they would be appreciated! The video is great (was that for me? Lol!) and I just can't wait to try this technique! 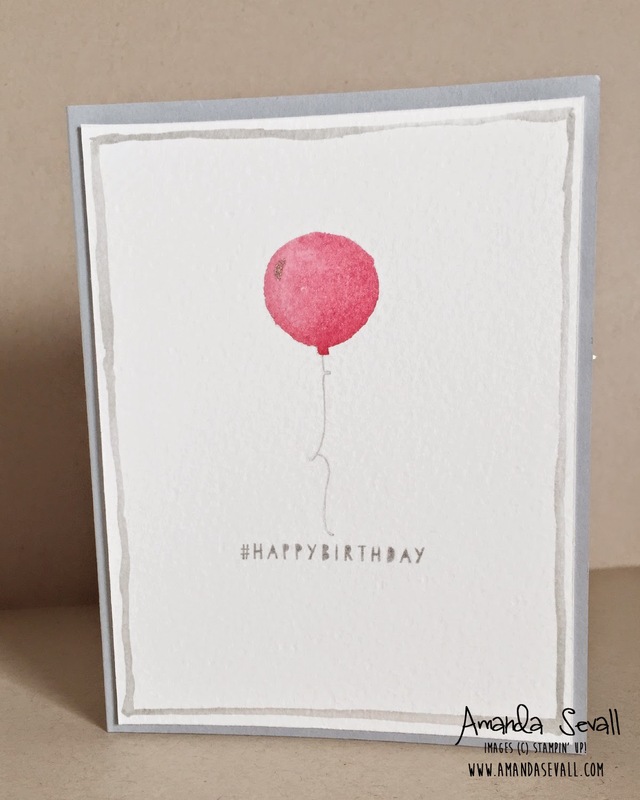 The simplicity of this card is eye catching & one I want to copy! Sooooo pretty, Amanda!!! Love the video tutorial! Thanks! Will be making this card for sure! Love the cards...so simple and clean. Great tutorial too!! I absolutely adore this card. 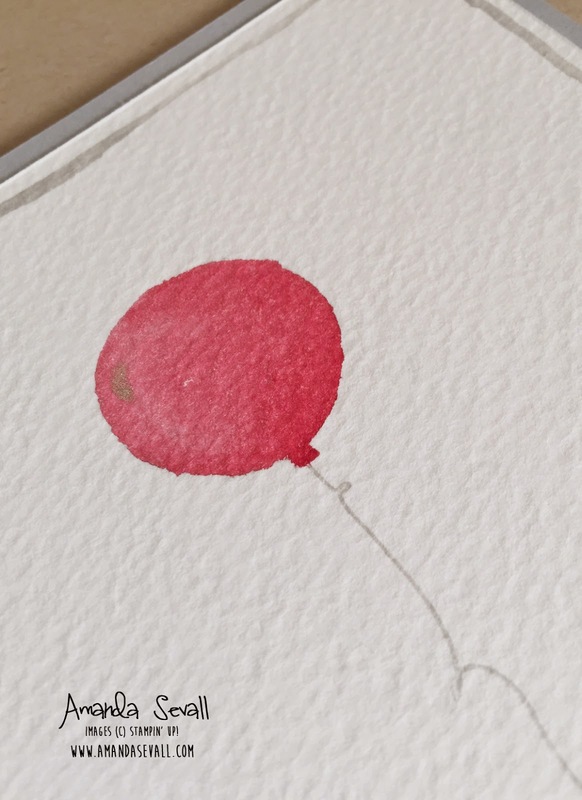 I love the watercolor look and its simplicity is just stricking! Great job and I see a CASE in my future. Thanks for sharing it Amanda and thanks for starting WWYS I see myself participating often! Love the cards Amanda! I can't wait to try this technique! Love CAS cards and yours are MAX! Thanks for the tutorial, they always help with techniques. 365 Cards: You Crack Me Up! 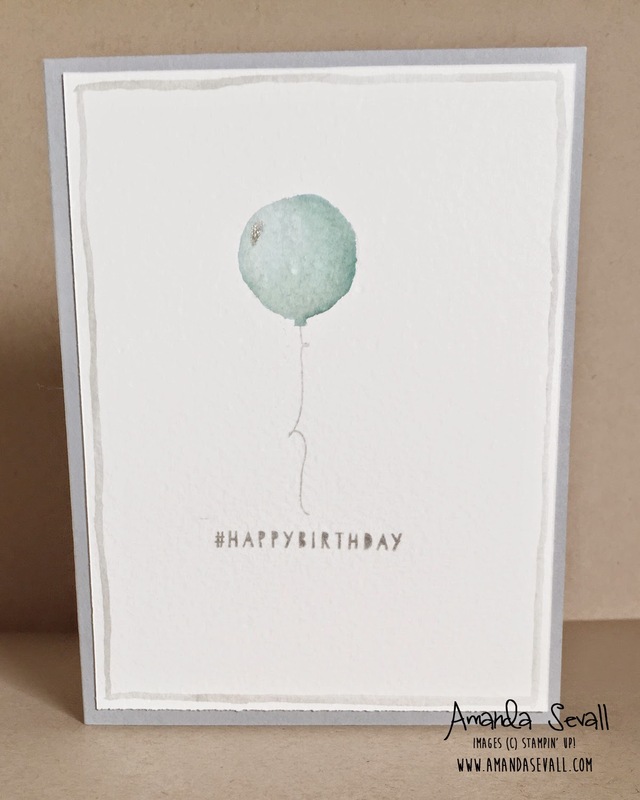 365 Cards: Happy Birthday to my Husband! 365 Cards: Singing in the Lobsters?! January & February 2015 Book Report.